Oscar-winning director Oliver Stone was arrested for investigation of drug possession and driving while intoxicated, police said Saturday. Stone was released Saturday morning after posting $15,000 bail. A message left Saturday with Stone's agent David Styne was not immediately returned. In 1999, the filmmaker pleaded guilty to drug possession and no contest to driving under the influence and was ordered into a rehabilitation program. 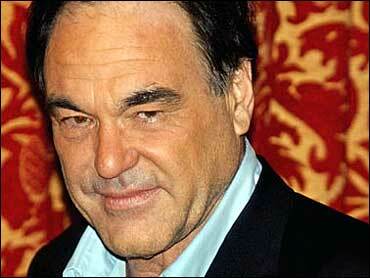 Stone's films include the recent "Alexander," "JFK" (1991) and "Natural Born Killers" (1994). He won Academy Awards for directing in 1989 for "Born on the Fourth of July" and in 1986 for "Platoon," which also won the Oscar for best picture. He lives in Los Angeles.